Already this year, a number of landlords have been charged for mistreating tenants with disabilities. Last year, HUD prosecuted more than 4,500 of these complaints, the majority of all discrimination claims. Three of the four newest cases reported involve mishandling tenants’ requests for companion animals. Others include refusing to install a wheelchair ramp, and insisting that a tenant with disabilities move into assisted living. The federal Fair Housing Act prohibits landlords from denying housing or placing limits on persons with disabilities. This includes failing to waive no-pet policies to accommodate emotional support animals. In addition, state and local laws often prohibit this action. 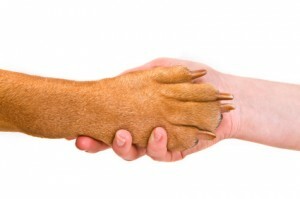 For more on companion animals, see our previous post, Understanding the Rules for Companion Animals. The most recent case was brought against a New York owner and property management company after a prospective tenant with a mental disability was denied her request for an emotional support animal. The woman allegedly was offered a lease, but the property manager then “cancelled” it after the woman presented a letter prescribing the animal to treat her disability. The owners and managers of several apartment complexes in San Diego agreed to pay $22,600 to settle complaints brought over the refusal to allow companion animals. In that case, testers from a local fair housing agency visited several of the properties and found that management routinely denied requests for assistance animals. The management company also agreed to re-train its employees and leasing agents. A Las Vegas tenant was forced out of her rental home, allegedly for requesting a wheelchair ramp. In this case, the on-site management company refused to renew the woman’s lease after the request was made. This accommodation allegedly was provided to other tenants free of charge. The manager told investigators that he didn’t like the manner in which the tenant requested the accommodation. The owners and manager agreed to pay $10,000 and to undergo fair housing training. Also, a landlord in Kansas was charged with discrimination for allegedly telling a tenant in a wheelchair that she should move to a housing facility “designed for handicapped people.” The landlord had purchased the tenant-occupied, single-family home, and then attempted to force out the current renter by claiming they did not allow holdover tenants. However, tenants in other properties allegedly were allowed to continue renting month-to-month. The landlord had settled a previous fair housing complaint with the same tenant by agreeing to allow a companion animal. Fair housing investigations and complaints are costly for landlords, and easy to avoid. Understanding the rules for companion animals and reasonable accommodations for tenants with disabilities can prevent this potential income loss.